The Performing Arts Centre Society Inc. (PACS) was formed in 1989 and is now a leading membership-based not-for-profit resource organisation, dedicated to encouraging and supporting the visions and aspirations of performing arts practitioners in Western Australia. 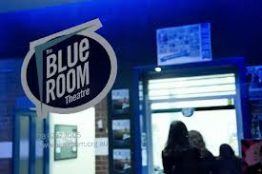 Blue Room Theatre productions are generated and produced by the writers, directors, actors, technicians and managers who create them. Productions selected are given a three-week season at the venue, a small production subsidy and 90% of the door sales. Sixteen new productions are selected each year.